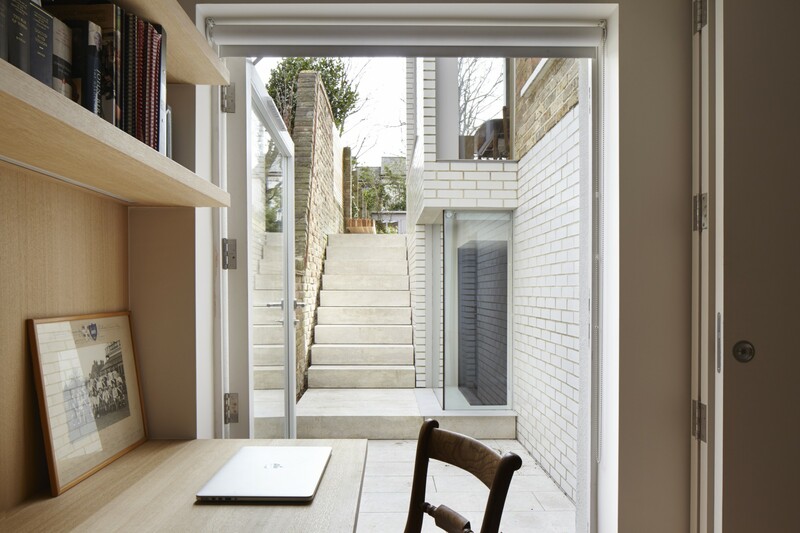 Extension and restructuring of a grade II listed ground and lower ground apartment (converted from a former public house). The main alterations have focused on excavations and underpinning to create a new bedroom and en-suite shower room at lower ground level, in conjunction with a kitchen extension to provide new dining space. 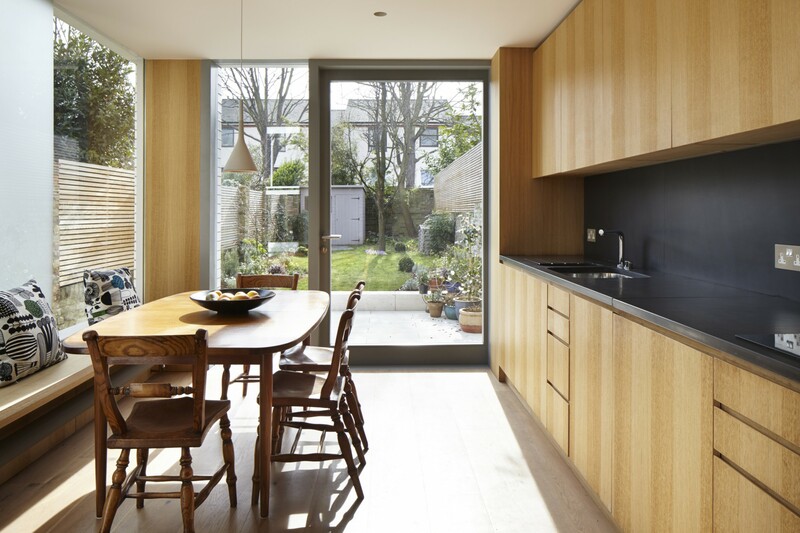 Openings were enlarged at ground floor level to provide a more open plan arrangement of the living spaces, with new terraces and improved connections to outdoor space. 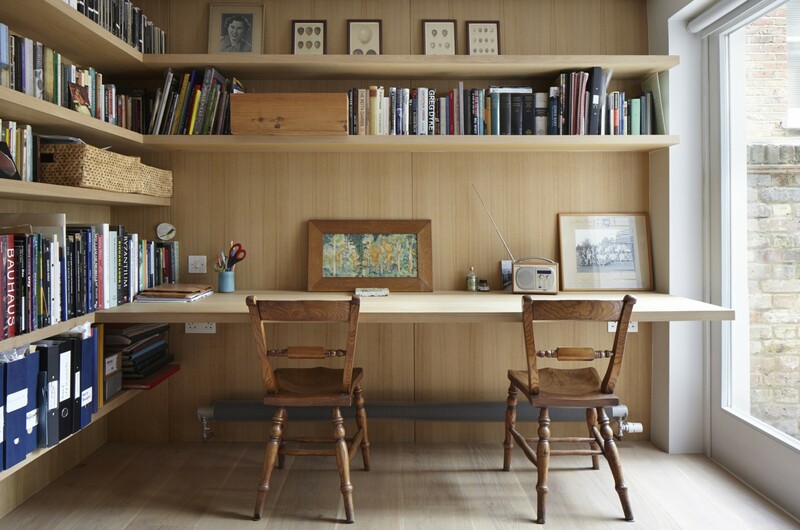 At lower ground level partitions have been removed and a new study provided for the client – chief arts writer at a leading national newspaper – who frequently works from home. 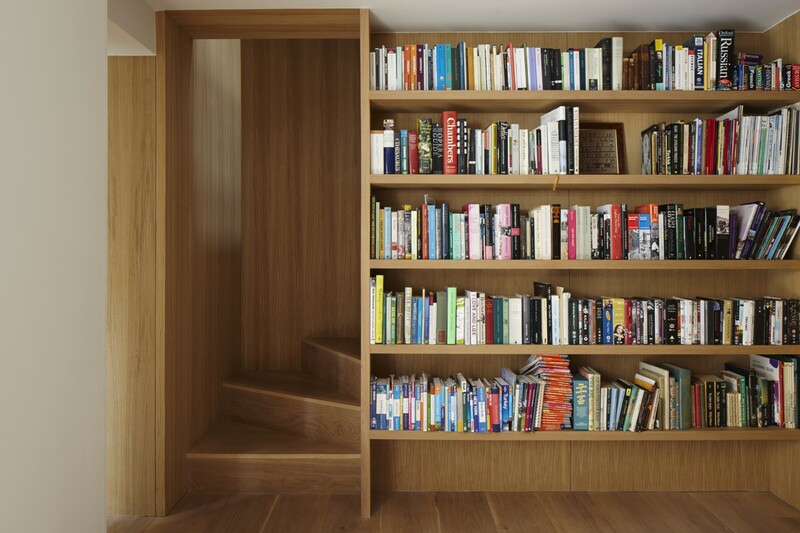 Sliding partitions maintain the open plan arrangement, allowing for privacy when required. 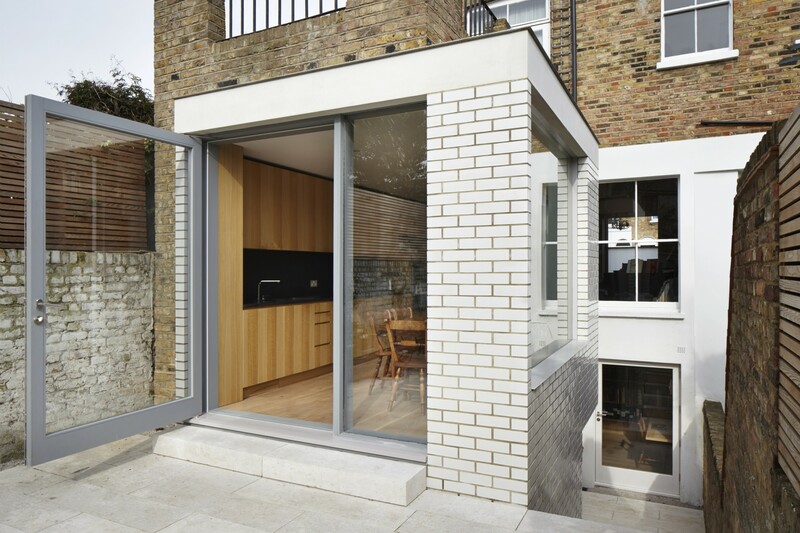 Additions and alterations have been sensitively considered to be in keeping with and sympathetic to the original design. 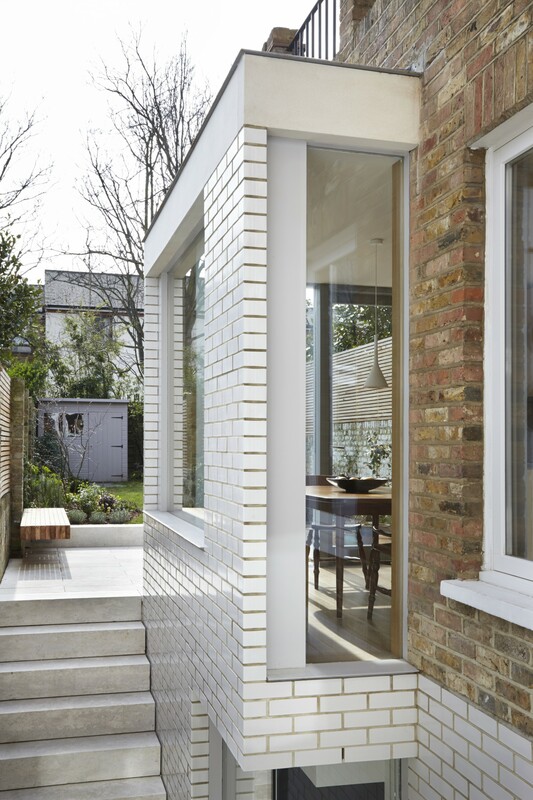 Externally, white glazed brick provides continuity to the rendered base of the existing building, at the same time referencing our client’s home town in the Potteries. 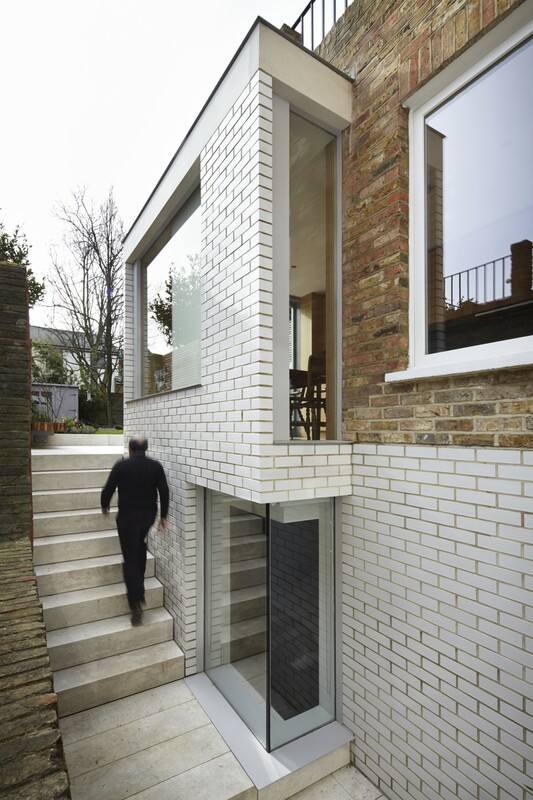 The aim was to balance contemporary elements within the context of the existing interior. 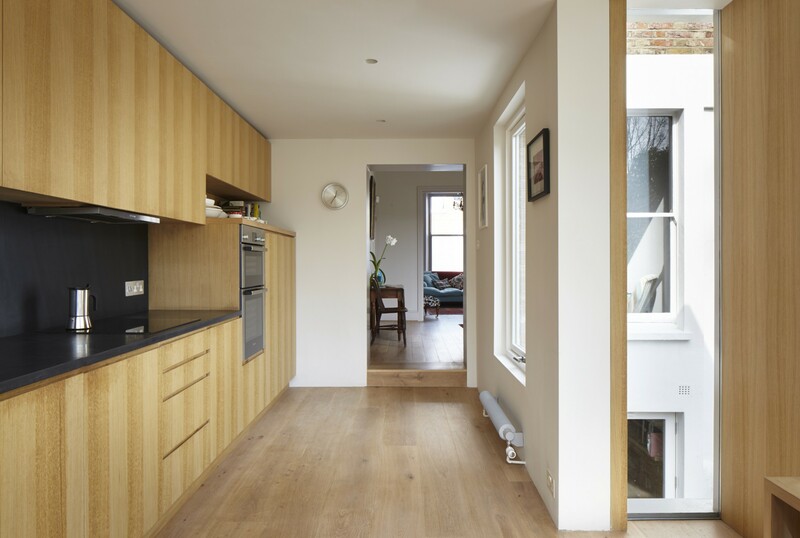 Existing timber floors have been re-finished bringing continuity with new timber finishes, and new timber linings are used to define the study and new kitchen and bathroom ‘core’ through which the stairs pass – providing warmth, texture and tactility. 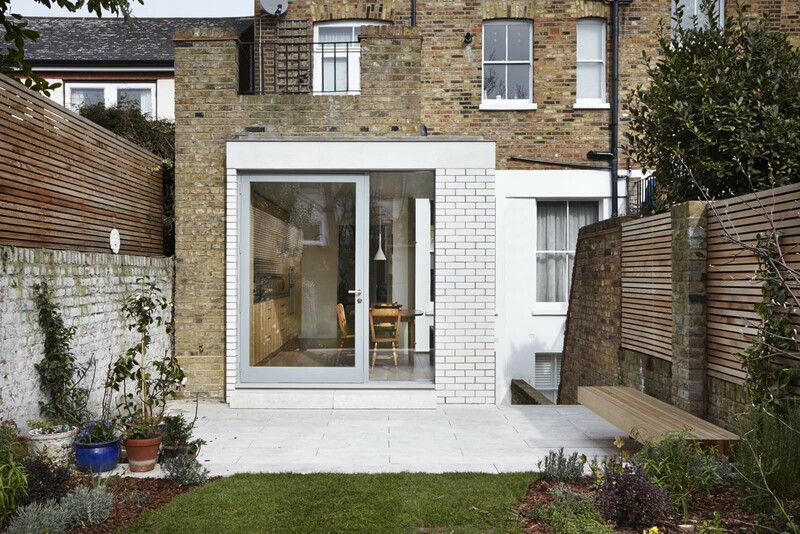 Awarded commendation, Brick Awards 2015, Refurbishment category, and long-listed for NLA Don’t Move Improve 2016.